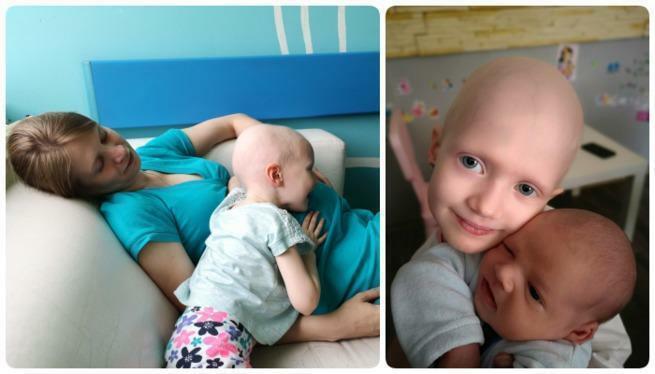 "We can lose everything - just not her ..." Cancers kills Martynka, we urgently need your help! The house is where our daughter is - that's why for over half a year our home is a cancer ward ... A ward of fading lights. Everyone knows these pictures, from films, from commercials - hospital doors, empty beds, drip with chemotherapy and children with bald heads ... We also knew it. Today, Martynka is one of these children. Our greatest happiness, our daughter, curious, stubborn who filled the house with her laugh, who liked to dress up as a princess and loved the green colour ... She suffers today, day by day she resembles herself less. We have never thought that our life would look like it looks now ... That she would have to fight for her life. Cancer. Her pain. Our fear. Metastases... At each examination, each appointment with the doctor our hearts stopped and we held the breath. How bad will it be? This is how our each day looks like. Our world ended on March 26, 2018. For some time, Martynka felt bad ... It was spring, the time of infection, the first year of the daughter in kindergarten ... Continuous colds - this is normal for preschoolers, right? In March suddenly sharpening of symptoms - flu-like condition, fever, stomachache, leg pain. Another drugs did not help ... In the following days we went to the peadiatrician four times with Martynka. The result of a blood count and a study that showed a significantly enlarged liver - then we started to understand that it was very bad. On March 26, we were at hospital in Rybnik, a day later at the Cancer Ward, Hematology and Chemotherapy in Katowice. We have not left this place anymore. Time is passing, the world is still going on, but for us it stopped. That's when we found out that our little daughter is dying. She had a 10-centimeter tumour on her liver. On the adrenal gland - a 5-centimeter tumour ... Metastases to the lung, bone and marrow to the highest degree ... neuroblastoma, very aggressive, deadly cancer. Killer of small children. Most of them are not even two years old ... Half of the small patients attacked by him die. 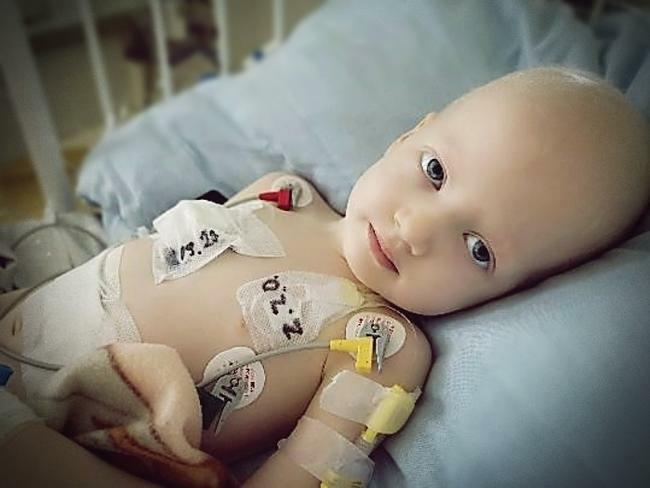 There is nothing noble about suffering in suffering - all the more ... We do not know, we do not understand why she had to get sick, she was so small, so innocent. A deadly illness of one's own child is a nightmare. It's an indescribable pain. Everything that we had, lost its meaning - only one thing counts: let Martynka live. We lived in a hospital. We were expecting a second child then. Was it a high-risk pregnancy? Today Maks is with us, Martynka is still fighting. However, for over 20 weeks the fear was double - we could lose not one but two children. 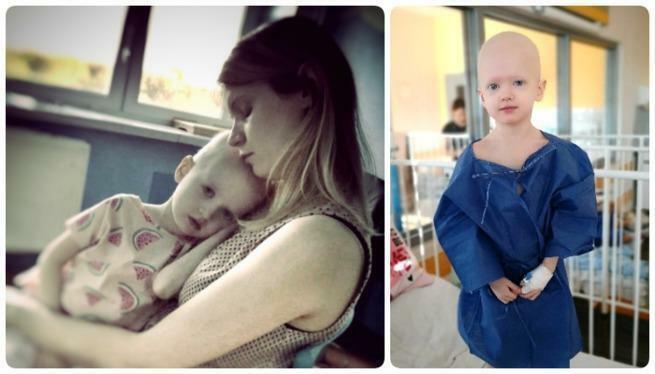 Martynka has gone through 8 cycles of chemotherapy, then 2 more, even more aggressive ... She lost her hair, cried, did not sleep, did not eat. We saw her during that time, her fear and pain. When you are aware that you cannot help your own child – is there something worse for a parent? We measured the days only by successive cycles of chemotherapy, and everyone was full of hope that Martynka would recover. She didn't succeed. The adrenal tumour has been removed, but there is still the cancer in her liver, the tumour is inoperable. The bone marrow was clean until recently, but there are still changes in the bones ... The disease has disappeared in some places, in others it is still progressing ... Cancer attacks further. Martynka is still dying! The hospital in Greifswald, where children are treated in the most advanced stage of neuroblastoma, where combined therapy is used - chemotherapy combined with ANTY-GD2 immunotherapy - this is probably the only chance for our child to live. 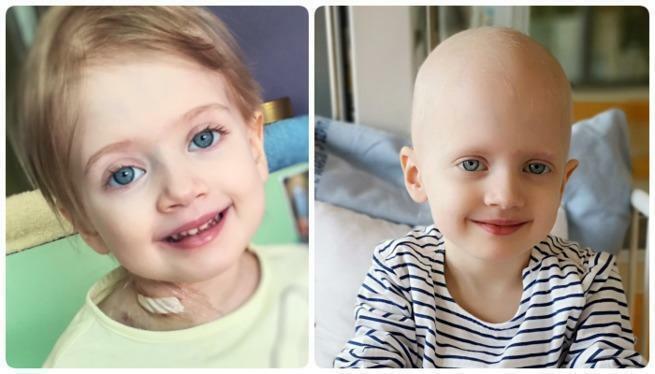 If we can stop the progression of the disease, if the tumour in the liver is reduced, there is hope for surgery, and then Martynka can live and be healthy ... We have no illusions, neuroblastoma is a cancer that kills and returns, but we also have a faith that keeps us alive, that our daughter will live. 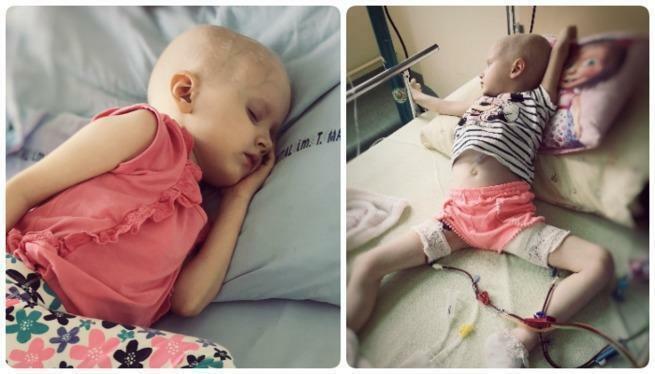 Cancer is getting stronger every day, Martynka is getting weaker and we are more and more scared. This appeal is an expression of our despair and desperation. They say that life has no price - our child's life has. If we do not get that huge amount of money, Martynka will die. We do not plan the future, we pray only for each next day spent together. We also pray and ask for a miracle so that we can raise money so that we can be in Greifswald as soon as possible. We beg, help us to do it now, do not wait, do not postpone it for tomorrow, because tomorrow for our daughter may not be anymore.